1x Short Film winner for the 14-17 age group. In the event of a tie, the winner will be selected based on the video’s content, then technical expertise and finally on innovation, creativity and impact. If there is still a tie then the winner will be selected based on a vote by the Judging Panel. First-prize winners of the 14-17 age group will receive video equipment and software for each category, Public Service Advertisement or Short Film. First, Second and Thirds Prize winners of the 18-35 age group will receive cash prizes in two categories (Public Service Advertisement and Short Film). All participants may receive special recognition at film festival and will be celebrated at the awards ceremony at COP22. 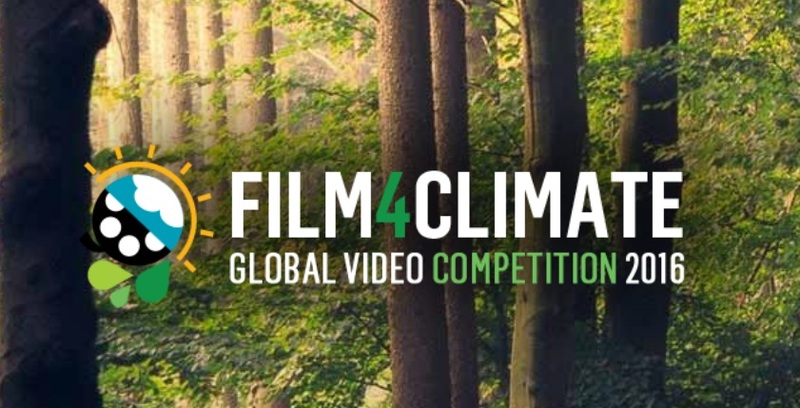 Winning entries will receive special recognition at all relevant Connect4Climate events, and be prominently featured and promoted through the social media channels of Connect4Climate and Partners. People’s Choice Award: Given to the most popular video as determined by likes through the video gallery. MENA Special Award: Given to the best entry by a participant from the Middle East and North Africa region. Presenting Partner Special Prizes: Given to outstanding contributions selected by the Connect4Climate team or representatives of the Presenting Partners. For more information consult the official website.